My Chicano Lawyer.com: Rejoice! Canon 4K DSLR will be announced tomorrow! Rejoice! Canon 4K DSLR will be announced tomorrow! According to EOSHD.com, Canon will be announcing their 4K DSLR tomorrow morning. 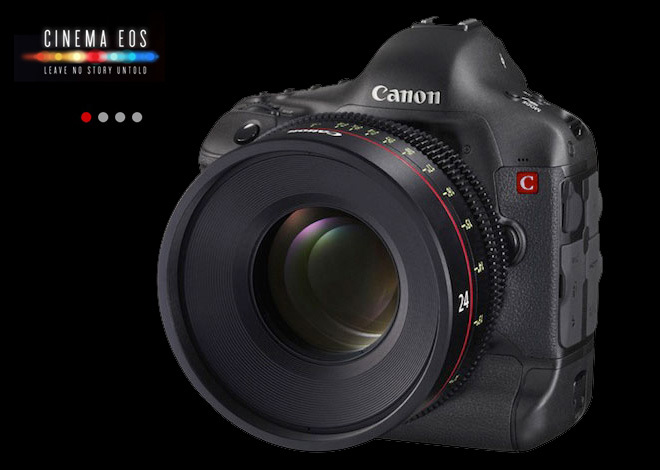 According to EOSHD.com, "Canon are due to issue a press release ahead of NAB. What my source says about the new cameras is pretty extraordinary even in light of what Sony are doing with the FS700. Canon will release a C500 for $25,000. This is designed to be an Epic killer. It is 4K at 120fps with EOS RAW via 3G HD-SDI. Officially certified raw recording deck solutions are being provided by Blackmagic and AJA. At 60 fps EOS RAW from the C500 is 12 bit. This drops to a still impressive 10 bit at 120p. The C500 also pumps out 1080p, 2K and Quad HD. Costing $10k. This does ALL-I, IPB and MJPEG 4K. Both the C500 and 4K EOS DSLR have log profiles. Another feature is that it has a Super 35mm crop mode (like the D800 with DX crop mode) for compatibility with cinema lenses."